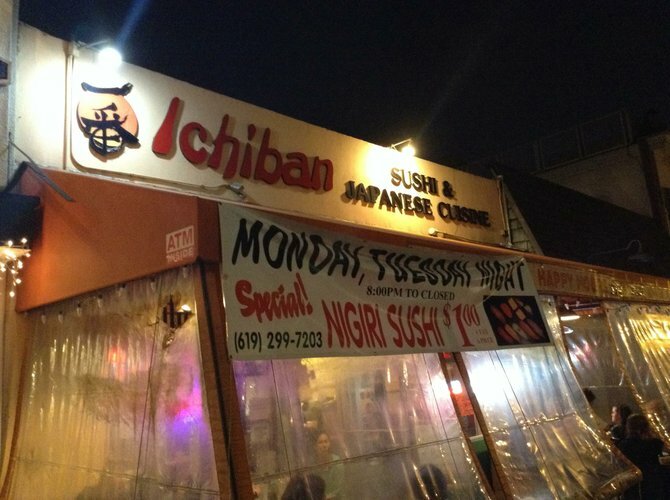 Ichiban ("Number One" in Japanese) has been here three decades, and still gets as crowded as when it first opened. Why? All-Japanese crew, real bargains, and a real easy atmosphere. The best values are at lunch, with weekday specials like Bento combos (sushi rolls, crab, salmon, rice) and filling soups overflowing with veggies and thick udon noodles. Inexpensive. Sunday 11 a.m. to 9:30 p.m.
Monday 11 a.m. to 9:30 p.m.
Tuesday 11 a.m. to 9:30 p.m.
Wednesday 11 a.m. to 9:30 p.m.
Thursday 11 a.m. to 9:30 p.m.
Friday 11 a.m. to 9:30 p.m.
Saturday 11 a.m. to 9:30 p.m.